Who has a 2001 or 2002 TJ? 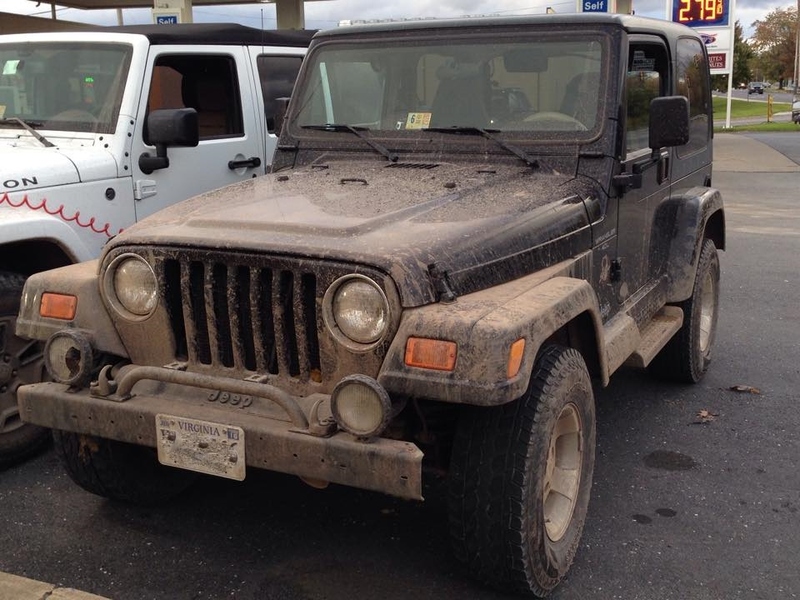 Northern Virginia Jeepers Association | Forum | Open Discussion (Club Members and Non-Members) | Jeep Tech Talk | Who has a 2001 or 2002 TJ? Looking for someone with an 01 or 02 TJ, can be a 4 or a 6, auto or manual, just needs a good working cluster. If you're willing, I need to drive and meet you so I can quickly test your instrument cluster in my Jeep to determine 100% that I have a faulty cluster. This should take all of 5-10 minutes, as my dash will already be disassembled. I've confirmed that this will have zero effect on your "good" cluster, and your mileage will not change in moving your cluster into my Jeep, then back into yours. Reasons: hoping to definitively confirm that the cluster is bad before A) making 2-3 hour round trips to pick one up or B) dropping $$$ on an unreturnable option on ebay. Can anybody help me out? Happy to exchange your services for beer or takeout. Re: Who has a 2001 or 2002 TJ? If this is correct I should have one we can try out. I'll just need to dig one up. Really? Interesting. I had all but confirmed it was 97-2000, 01-02, and 03-06. I trust your judgement more than my own though. If you have one and have time this week I can stop in any time. There's lots of mis-information around the cluster compatibility, so I'm not 100% certain. There's definitely a change between 1999 and 2000, but I believe the 2000 - 2004 will plug in. They made another major change in 2005 with the computers. Best if I dig up a 2003 or 2004 version I have and we can compare the plug interfaces. All we have to do is get it to plug in to illuminate the High Beam indicator. FWIW, 2000 is when they switched to the newer multi-function switch, which they kept until 2006. I have a 2000 if Runner can't dig one up. Thanks Rich, like I said let me know and I'd be happy to pop down one evening this week. Mister Sarkis...where are you located? I'm in Vienna near Reston. So thanks to my man Sarkis, determined that MY 2000 Jeep TJs do indeed have a different connector/plug configuration compared to 2001/2002...presumably later years as well. Still looking for a 2001+ cluster to test with. Sounds like we can definitely count on 2001 and 2002 fitting, unsure of 2003-2006. MY LJ is a 05 MY. I don't have a spare cluster. But you are welcome to borrow mine for your testing since the Jeep is currently parked until I get the pinion bearings replaced. Let me know. I am in Oakhill, near Frying Pan Park. Different from my 2002, which has a loose "C1" and "C2" harness which plug into the rear of my cluster. It appears that the MY 2000 and prior versions had stationary connectors in the dash as seen above which the cluster pushed into as you mounted it. My guess is you could run into problems since the connectors on the dash side are fixed, and the receiver plugs in the rear of the cluster are also fixed. Probably becomes difficult to remove/reinstall the cluster over time if you end up with bent pins in these fixed connectors. The loose harnesses seem to allow for some more wiggle room and give. Still looking for anyone in the area that has a 2001 or 2002 with a dash they'd be willing to let me test with. Otherwise, I'll just pony up and buy the cluster and hope for the best. Man, who knew they made all these changes to the cluster. Great learning experience. Hopefully you can track one down. Right? Must've been due to the introduction of the Rubicon trim. Had to have added some cluster data inputs. I have an 01 you're welcome to check out. Jeep is in Centreville. If you can help with http://novajeepers.net/index.php?topic=30400.0, I can bring the jeep to you this weekend.